The Visby Henley & Top will become your favorite wardrobe staple. Wear this long sleeve pullover by itself on a warm day, or as a base layer underneath a snuggly sweater on a cool night. The Visby comes as a classic henley, but you also have the option to add a hood or skip the buttoned placket altogether. You also have the choice to add a bottom band! Don’t want to print and tape paper together? The Visby Henley & Top pattern now includes an additional large format file (size A0 paper) that you can send to your print shop to print! Primary Fabric Lightweight four-way stretch knit fabric with at least 50% horizontal stretch and 50% vertical stretch. 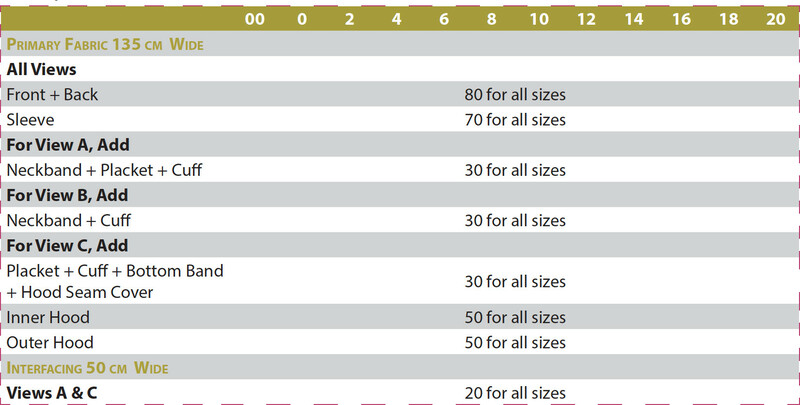 French terry, cotton Lycra jersey and other cotton blend jersey are good choices. Slightly heavier weight knit can be used in View B only but not in Views A and C because the intersection of the placket and neckband/hood can become too bulky with thicker fabric. You can choose to color block the top by using different fabric for the front, back, sleeves, cuffs, neckband, hood and placket; use similar knit fabric for all these parts. Note that there are many ways you could color block your Visby; fabric requirements are broken down into one suggested way, but you could further break them into smaller parts. For example, you can choose to use different fabric for Front and Back. I like all the different options for this top. With different necklines, a hood, and a curved hem or band, you can mix and match so many different ways. Kennis is always thorough with directions so the placket is the best by far! This is one of those patterns I’ll be able to sew again and again since it’s comfortable everyday wear. Love this! The design is flattering and the fit is perfect. 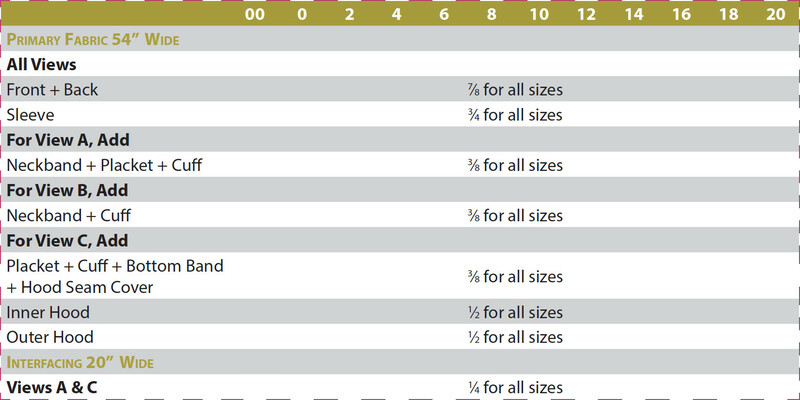 I love how the measurements match the size that you are sewing. Will be sewing a lot more of these! I love this raglan, there are lots of options. Easy to understand instructions with great techniques. Stylish cuffs gives another option for different looks and the cuffs give a nice fitted style. I was able to make a suncover in spandex with no changes to the pattern at all, a real win for me, have been waiting for the perfect pattern and this is it.